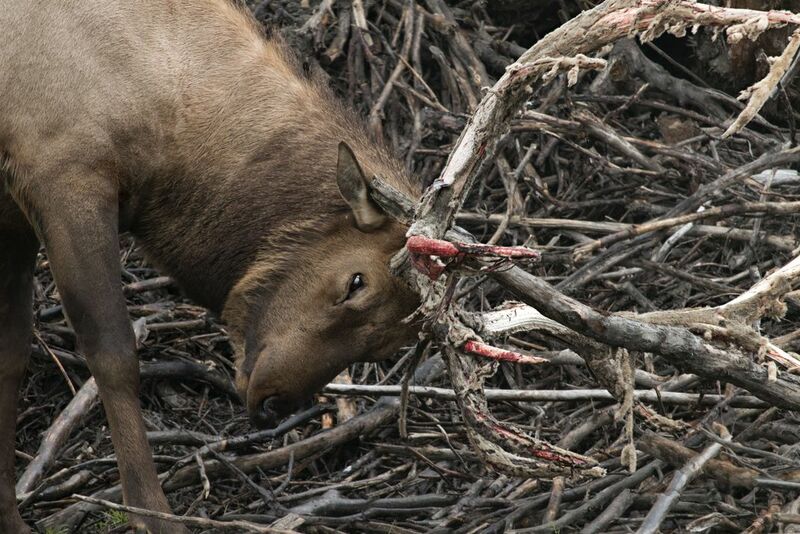 A caribou shedding its antler velvet next to a pile of sticks and logs. The last day of my first time in Alaska I witnessed these caribou shedding the velvet on their antlers, I was captivated by how beautiful the somewhat gory sight was. The rain mixing with the blood on their antlers made these animals look ethereal to me, I continue to be blown away by how powerful they truly are as creatures, and this bloody process only emphasizes that fact. Date Uploaded: Oct. 30, 2018, 3:48 p.m.